Macaroni and cheese is possibly the quintessential comfort food. Toddlers love it, kids love it, and adults of all ages love it, even if they consider it somewhat of a guilty pleasure. Like all comfort food, mac and cheese is made in a variety of ways that are often passed down in families. Plus it lends itself to doctoring up. Check out these 10 recipes for good eating. Creamy cheese and dijon mustard makes this the perfect macaroni and cheese. Cheddar and half-and-half make this macaroni and cheese creamy, and Dijon mustard gives it some flavorful bite. The breadcrumb topping gives it tasty crunch texture. 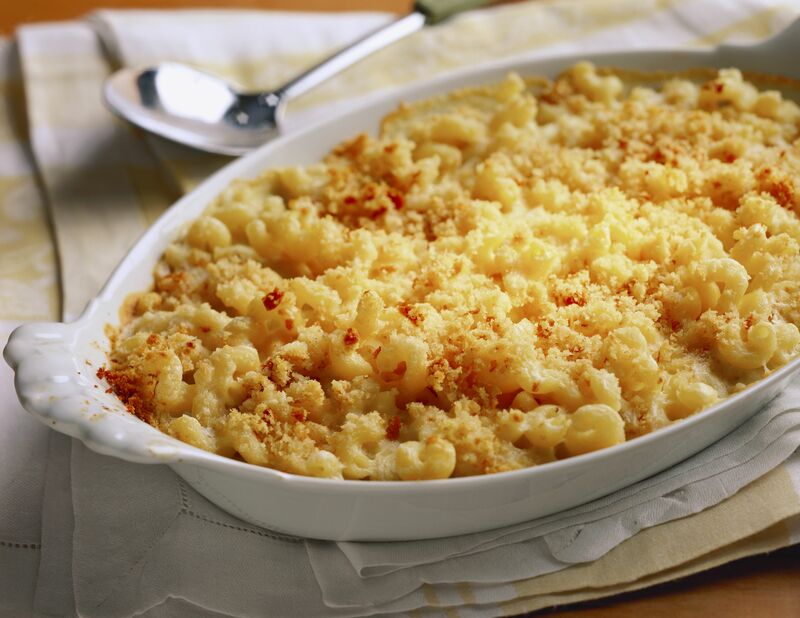 Serve this macaroni and cheese as a main dish with a salad or serve it as a side dish. This is a basic recipe for easy macaroni and cheese in the crockpot. You can start it up, go to work or on errands and come home to a welcoming dinner. 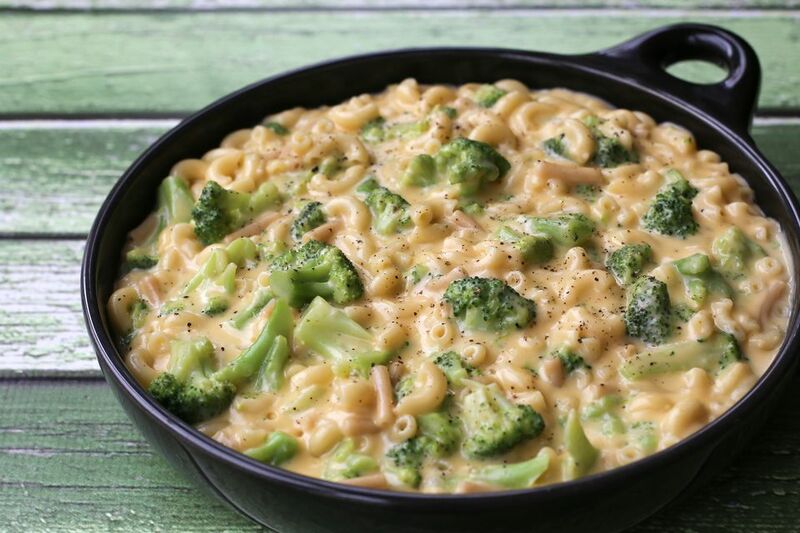 This super easy and quick mac and cheese recipe is great for a weeknight. You don't make a sauce, and the entire thing will be ready in about a half an hour -- just long enough to steam some broccoli or green beans, set the table and crack open some wine. Cheddar, Gruyere, ​havarti and Parmesan cheeses turn this comfort food into a gourmet meal fit for casual company. Penne pasta is a good choice, but you can use macaroni shells or elbows, cavatelli or cavatappi if you prefer. Cottage cheese and sour cream really shows its stuff in this recipe where it teams with cheddar for this creamy macaroni and cheese. Boursin cheese with garlic and herbs or roasted red peppers plus jalapeños really turn up the heat in this Jalapeño Macaroni and Cheese recipe. Adjust the amount of jalapeños you use according to your taste or used mild green chilies instead. With mac and cheese on the hot side, choose a cool side like a green salad or cold sliced tomatoes if they're in season. Cooked crumbled bacon and green onions take this macaroni and cheese with bacon recipe to a new level. The green onions go into the cheese sauce, and the bacon is sprinkled over the casserole before the buttered breadcrumb topping is added. If you prefer the bacon throughout, mix the bacon into the cheese sauce and macaroni before you put the mix into the casserole dish. This easy and basic macaroni and cheese with paprika recipe ​is jazzed up with the addition of paprika and an abundance of cheddar cheese, including for the topping instead of breadcrumbs. This super quick bacon cheeseburger macaroni skillet dish is a made-from-scratch version of boxed mixes -- and so much better. Ground beef and crispy bacon make this mac and cheese a hearty meal. The recipe calls for cheese soup, but you can substitute shredded cheddar or American cheese and a little milk if you prefer to avoid canned ingredients.